Discover more about private investigators capability, employment and regulations in Mount Juliet. Welcome to International Counterintelligence Services, an international private investigation company. The success of many cases depend on how you decide to respond. It has proven critical to hire a private investigator quickly. You can receive a confidential free consultation 24 hours a day with one of our on-call licensed private detectives. We can be reached at (888) 223-6494 or through our online free consultation system. If you are thinking about hiring a private investigator in Mount Juliet or anywhere in Wilson County, consider ICS. Please feel comfortable contacting ICS at (888) 223-6494 for any private investigation inquiries. It is illegal to act as a private investigator in Mount Juliet or Wilson County without a private investigator license issued by the Tennessee Department of Commerce and Insurance. The state of Tennessee has set rigorous licensing requirements for private investigator applicants that include an in-depth background check, fingerprinting, and training and continuing education minimum requirements. Generally, Mount Juliet private investigators have investigative experience from working on the police force, in the military, with a federal investigative agency, or at an insurance or corporate fraud investigative team, although other forms of experience are equally valuable. No private investigator in Mount Juliet, Tennessee receives their license without meeting these requirements, in addition to age and ethics standards. 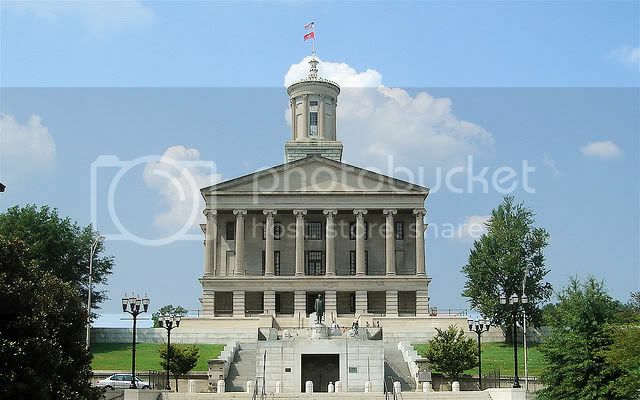 Tennessee makes their licensing requirements strict for good reason, to make sure that private investigators are held to industry standards and to help protect clients from unlicensed and unprofessional investigators. ICS holds their private investigators to even stricter standards than those set forth by the Department of Commerce and Insurance, whether you receive an investigation in Wilson County or elsewhere in Tennessee. It is the mission of all ICS agents to provide excellent service to our clients, no matter how large or small the case is, by going above and beyond minimum state requirements. ICS investigators are fully licensed, insured, and up to date on all continuing education requirements. When you call a private investigator at ICS, you have the unique advantage of choosing a private investigation agency that understands you and your city, but who also has extensive international experience. You can feel confident choosing ICS as your private investigation agency knowing that we maintain strict investigative standards. If you live or work in Mount Juliet or Wilson County but need a private investigation done elsewhere in Tennessee, or even in another state, ICS will put all their resources and experience to work for you, keeping your case affordable, efficient and confidential. ICS services all of Tennessee, including the following areas: Nashville, the greater Davidson County, Murfreesboro, La Vergne, Brentwood, Franklin, Wilson County, Gallatin, Hendersonville, Belle Meade, and more. Every city, state, and region has its own unique characteristic, and cases in Mount Juliet should be handled by an investigator that understand the local values and ins and outs of the city. Mount Juliet is a small city, home to about 23,000 people according to the 2010 census. Mount Juliet is a part of Wilson County, and is considered a suburb of Nashville, located about 17 miles east of downtown Nashville. ICS understands how life works in Mount Juliet and other small Tennessee cities, which allows us to provide you with the best possible investigative experience. ICS accepts most case types, and is ready to serve you whether you live in Mount Juliet, Wilson County, or elsewhere in the state. If you are concerned about your spouse or partner’s suspicious behavior and think they might be cheating, ICS can conduct an Adultery, Infidelity or Cheating Spouse private investigation to help you find the answers you deserve. People who are engaged in a child custody battle or are fighting to set up or change child support payments can benefit greatly from a Child Custody, Visitation, and Support investigation conducted by ICS, especially when you need proof for court or other legal proceedings. If you are trying to locate a lost or missing person, including children and adults, ICS can help with a Missing or Lost Locate Person investigation. For people who may want to know a little more about a lover, friend, or potential business partner, a background check can be an affordable and invaluable tool for making important decisions about who to trust. ICS is a full service private investigation agency capable of assisting in all these case types and more, so call to begin your free consultation today, or submit an online consultation form.